The Avg. Group Saves 13.7%! Urban cool in unexpected places.For the modern guest who craves something bold, sleek and unique, Aloft offers a forward design and tech-savvy space, with an urban look and a bright social scene, loft-like guest rooms, a buzzing bar scene in the open lobby, an urban-inspired grab-and-go café and industrial design elements throughout makes Aloft a far cry from its conventional, cookie-cutter competitors. 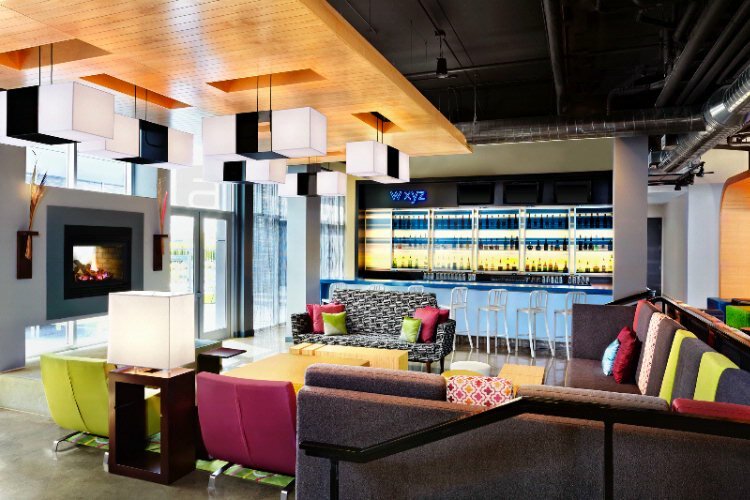 Aloft has redefined the segment infusing urban-inspired, tech-forward sensibility, modern design and an energetic, social guest experience at an affordable price point. arrive & explore: what's nearbyCelebrate your style at Aloft Denver Downtown, a hip new hotel where you'll be a block away from the Colorado Convention Center and the 16th Street Mall. We offer easy-breezy access to the Denver Center for the Performing Arts and nearby museums.stay & play: public spacesMeet & mingle with friends at our w xyz(SM) bar, grab a sweet, savory, or healthy snack from re:fuel by Aloft(SM), our 24/7 pantry, or play in our re:mix(SM) lounge. 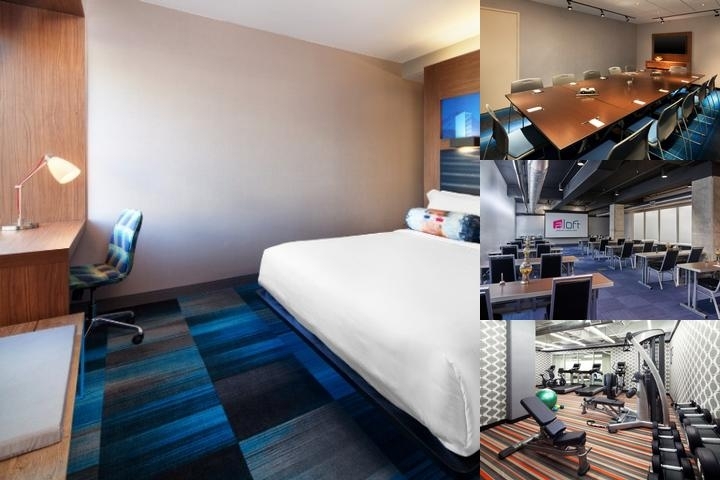 Plus, you can always stay connected with free hotel-wide wired and wireless High Speed Internet Access!rest & refresh: Aloft roomsBreeze into one of our Aloft rooms, featuring our ultra-comfortable signature bed, walk-in shower, custom amenities by Bliss® Spa, and more. Our plug & play connectivity station charges all your electronics and links to the 42” LCD TV to maximize work and play. MAKE A GREEN CHOICEConserving water, energy and other resources is rewarding for you and great for the environment. As part of our green initiatives program, we are offering a $5 voucher to Re:fuel by AloftSM, our self-serve gourmet eatery, or 250 Starwood Preferred Guest Starpoints® awarded at checkout for each night you decline housekeeping (except day of departure). Animals are family, too! That’s why Aloft Cleveland Downtown welcomes dogs up to 40 pounds. * Our pet-friendly arf(SM) program offers a special bed, bowl, and a doggie bag of woof-alicious treats and toys, all complimentary to use during your stay. Please make sure they’re on their best behavior—we don’t want to charge you extra for housekeeping! If your dog weighs more than 40 pounds, please request a waiver. Local Shuttle Info: Traveling from one end of Denver's bustling 16th Street Mall to the other, the Free MallRide runs seven days a week and stops on every block between Civic Center and Union Station. The Free MallRide starts running at 5:00 am on weekdays, 5:30 am on Saturdays and 6:30 am on Sundays/holidays. Service continues throughout the day with the last complete round-trip of the night starting out at 1:21am from Union Station to Civic Center and back. Valet Parking $42 and subjected to change. Can be Negotiated for group rooms! The aloft highlights above are subject to change without notice. 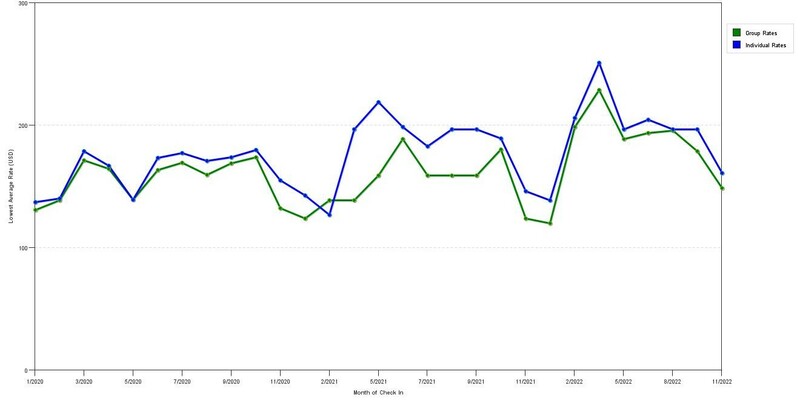 The chart above shows fluctuations of prices for both group rates and the best individual traveler prices our rate checker could find at the time the group offer was placed. The lowest group/meeting rate displayed is 29.7% in the month of November 2017 and the highest average individual rate is $268 in the month of October 2017. This chart will show past seasonality and also project future months. If you are flexible with dates, you may want to consider staying at Aloft Denver Downtown in a month when rates are lower. 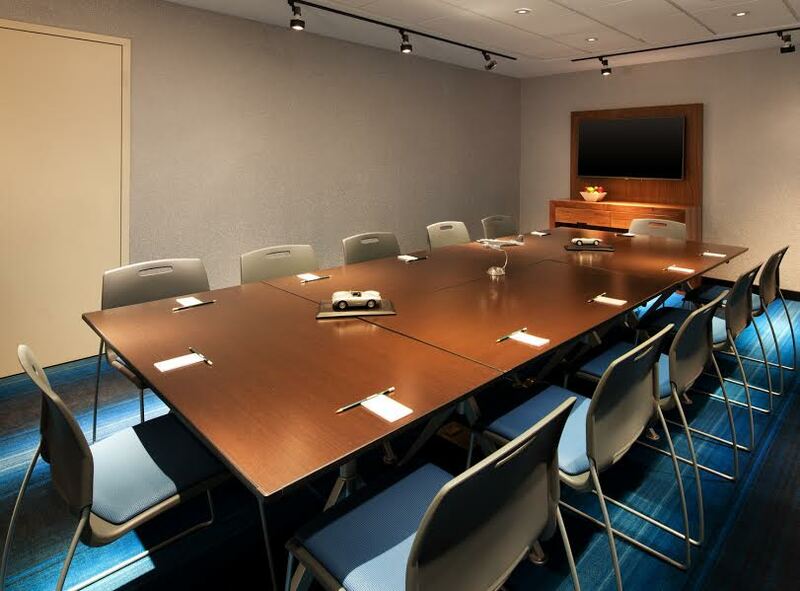 Below are the meeting, banquet, conference and event spaces at Aloft Denver Downtown. Feel free to use the Aloft Denver Downtown meeting space capacities chart below to help in your event planning. Hotel Planner specializes in Denver event planning for sleeping rooms and meeting space for corporate events, weddings, parties, conventions, negotiated rates and trade shows. 23 x 16 x 10 Ft.
Room rental is flexible if booking aside with guestrooms. Open Space- Great for a breakfast, lunch meeting without the closed in feel. 29 x 20 x 12 Ft.
50 x 22 x 9 Ft.